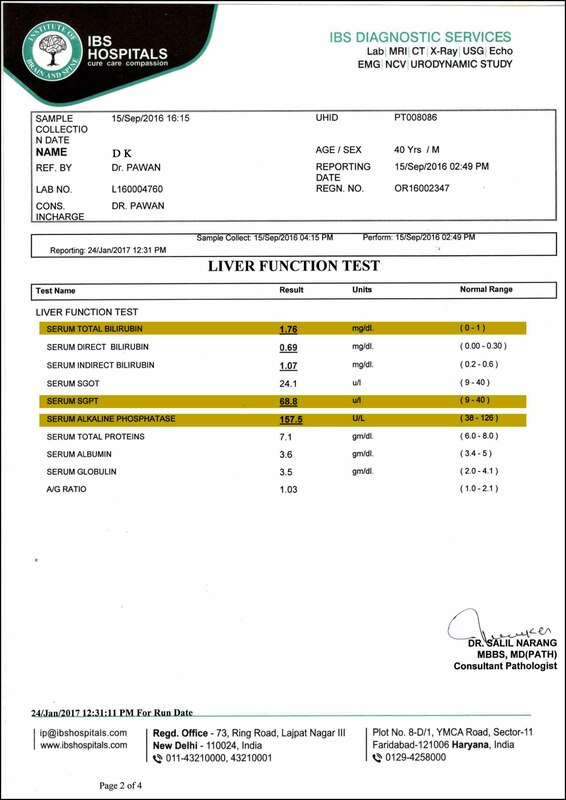 Mr. D K had been a heavy drinker for the past many years resulting in his liver getting early signs of degeneration. His doctors ha told him that he is looking at a possibility of developing Cirrhosis soon and could ultimately end up needing a liver transplant in a few years time. Mr. D K decided that he wants to try regeneration of liver through stem cell therapy and contacted Advancells for help. Upon reading Delhi, India he underwent a battery of tests and finally underwent stem cell therapy. Although he was advised autologous bone marrow and adipose tissue stem cell therapy but since his platelet levels were very low, it was decided that he will get cord tissue Mesenchymal Stem Cells. An appropriate dosage of cells were injected via IV which the patient tolerated well. 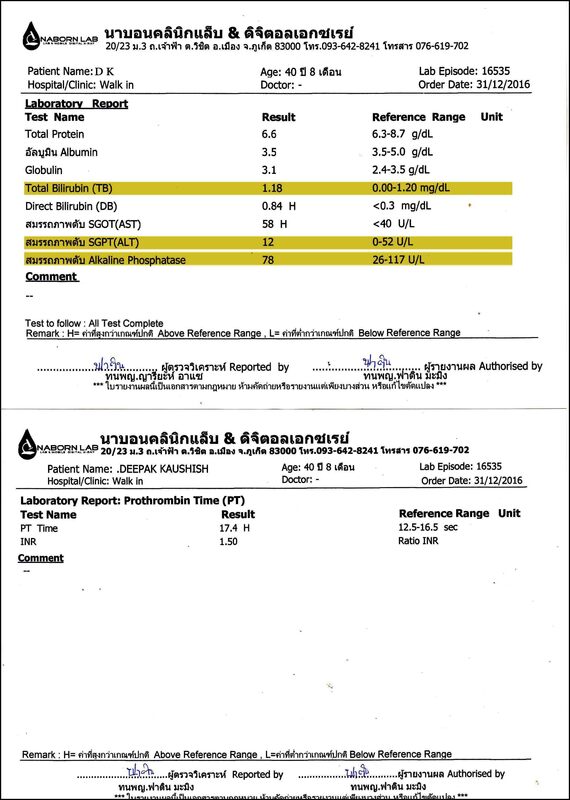 The procedure was carried out in September 2016 and a 3 month follow up in December 2016 shows that the major markers of Total Billrubin has decreased in the patient and markers such as SGPT and Phosphate are well within normal range now. The patient is encouraged with the results and the general improvement in the physical health and a next round of therapy is being planned soon.